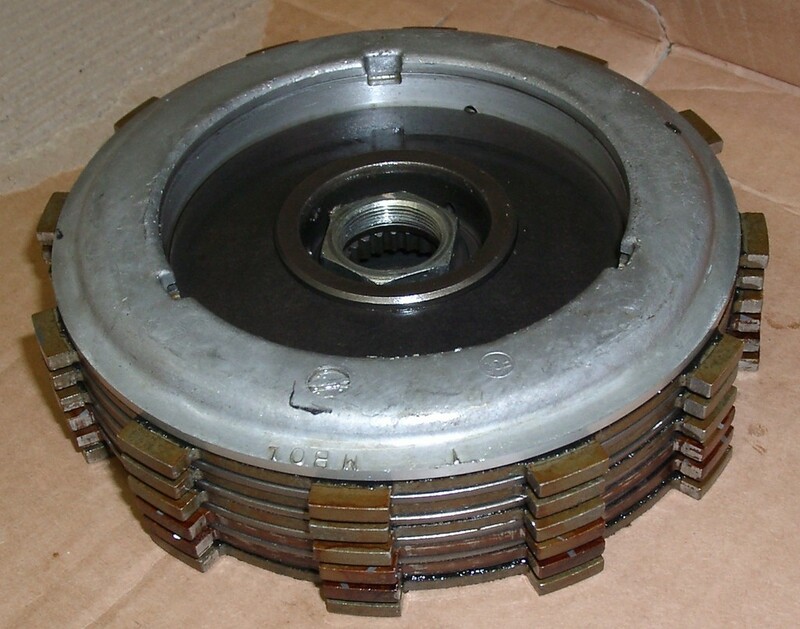 Closeup with the stator cover removed. 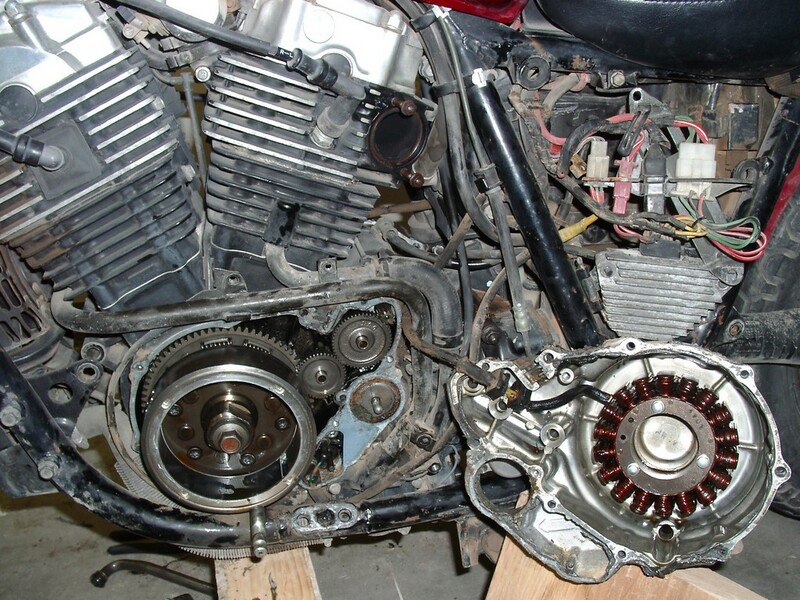 The starter gear and clutch lifter pushrod are visible. 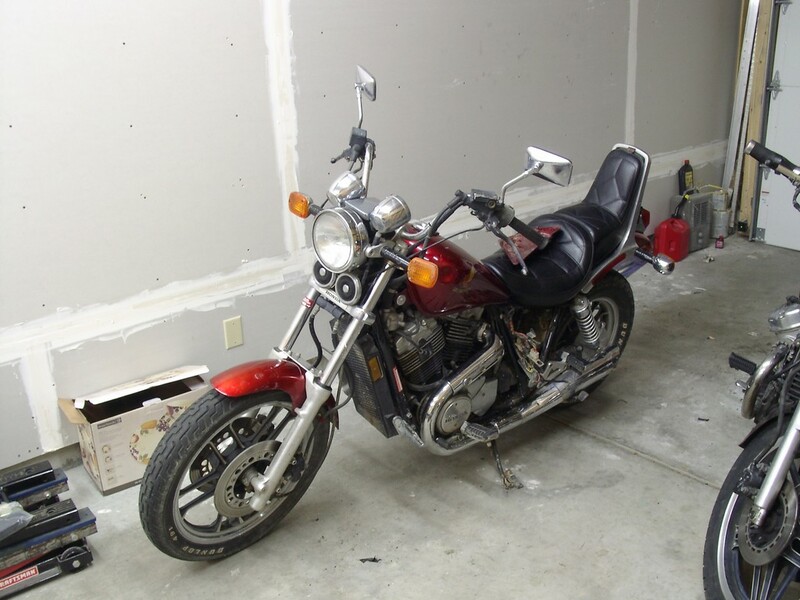 The bike had been rear-ended at some point, and I believe the rider mashed down on both the shifter pedal, which resulted in the spline damage visible at the bottom of the picture. Clutch components removed. 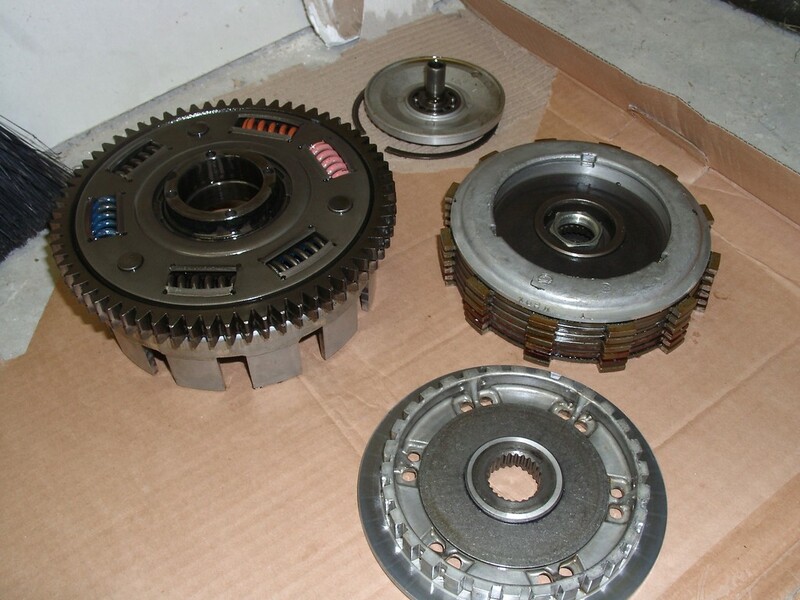 Clockwise from upper left, clutch basket, lifter plate, plates and pressure plate, and clutch center. 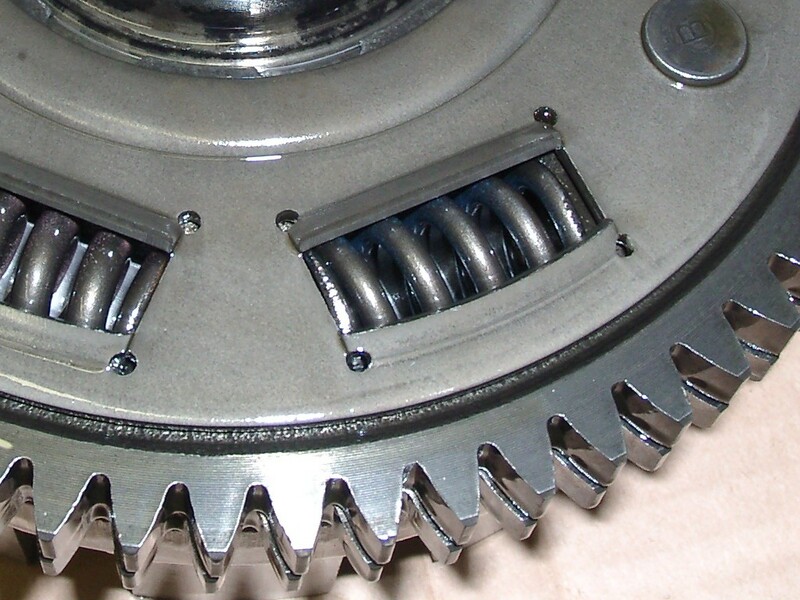 Closeup of the clutch outer gear. 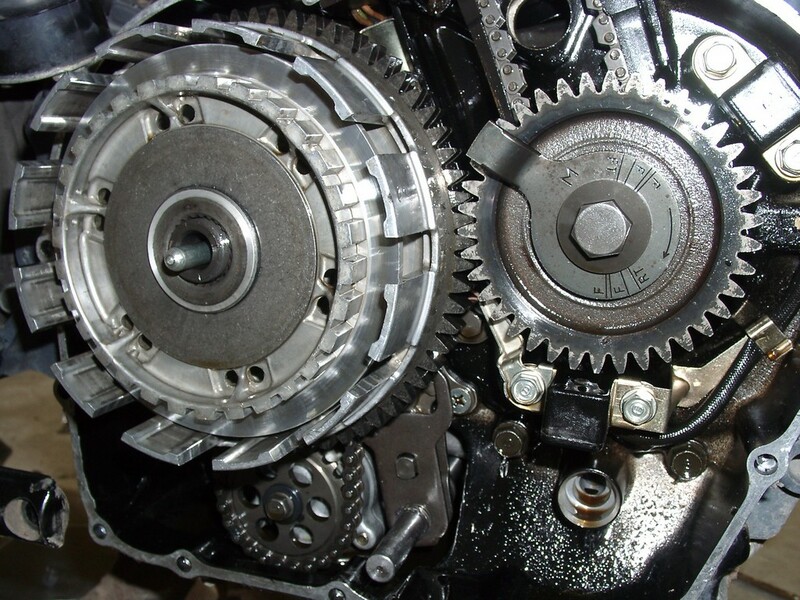 The gear is actually composed of two thinner gears which are offset slightly. 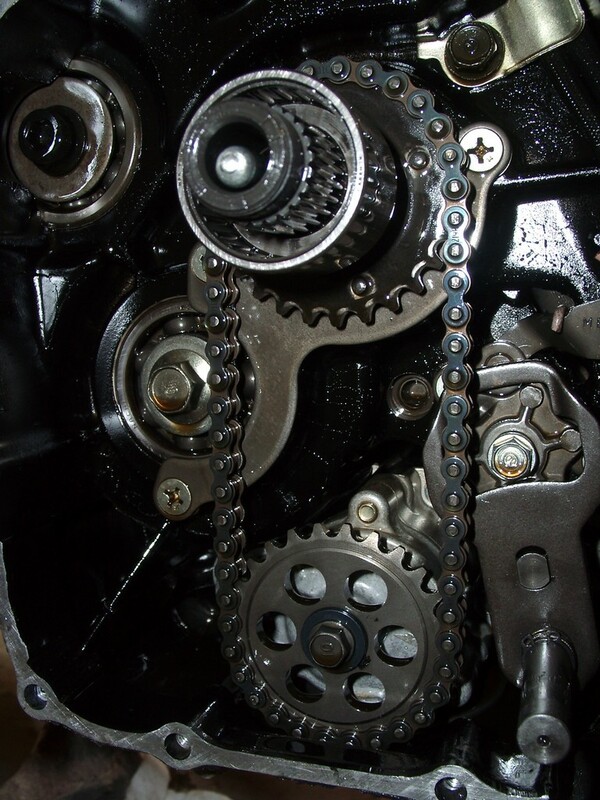 When one gear is rotated slightly relative to the other, the springs are compressed and the teeth align. I don't know for sure, but I think this allows for a tight fit. Behind the clutch basket. 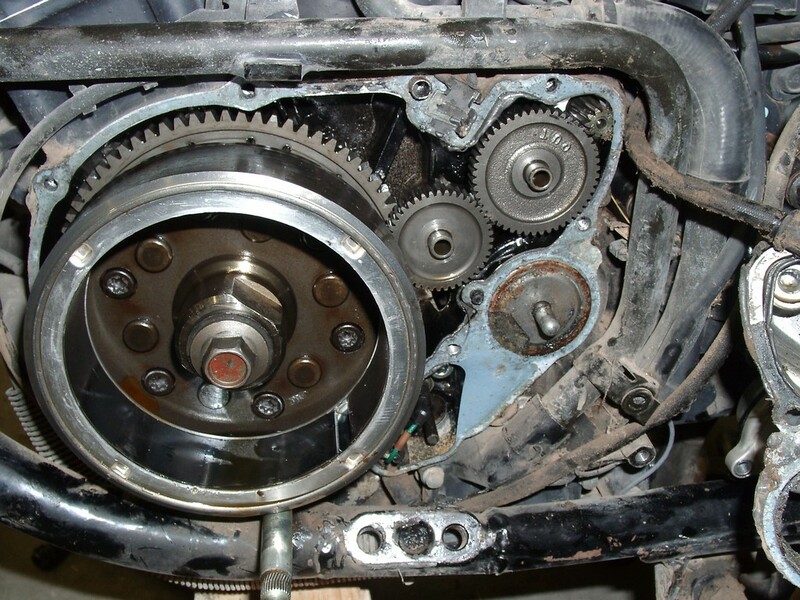 The oil pump drive sprocket and gear shift spindle plate are visible.